Coinage in Imperial Space. Continuity or change from the Acheamenid to Hellenistic kingdoms? The second book of the pseudo-Aristotelian Oikonomika famously divides economies into four types: Royal, Satrapal, Civic and Personal. As a theoretical examination of the nature of economies in the ancient Greek world it is all but unique. Although generally given to late 4th century BC, and the school of Aristotle, it is clear from the structure and the terminology of this broad analysis that it was written certainly with the Achaemenid Empire and its satrapal institutions in mind, even if it does belong to the period of foundation of the first Macedonian kingdoms in the East. It is thus a text of capital importance for the investigation of the transition from the practices of the Persian Empire to the Greeks. This conference is designed to consider these questions and to discuss other issues related to the monetary administration of the Mediterranean Achaemenid empire and of Alexander the Great and the early successor kingdoms. It will in part take a regional approach by asking experts in specific regions to examine the coinages either side of the conquest and apply the filter of ps.-Aristotle to the data they find there. 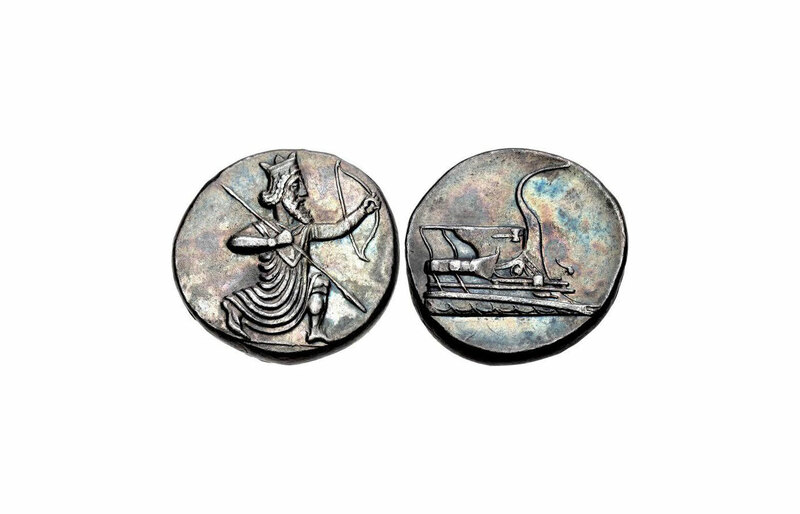 Historians and historians of the economy will attend it either to set this specifically monetary history against a broader framework of administrative and economic practices from the ‘Achaemenid’ to the ‘Hellenistic’ period.